A police report contains the facts and circumstances behind an auto accident. Car damage, passenger and driver injuries, witness names - it's all there. 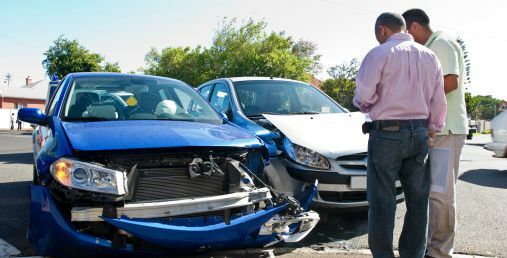 Should the accident become a legal matter, the report serves as your paper truth, making it a must read for you, your traffic attorney, and your car insurance agent. Contact the law enforcement agency that investigated the auto accident. If you don't recall the investigating officer's department, use this handy tip: For accidents within a town or city, call the municipal police department; for accidents outside of a town or city call either the Sheriff's Department or the State Highway Patrol. In most cases the department will ask you to complete a Record Request Form. Some departments may offer this form online. You might have the option to submit by mail or in person. Some departments charge. Prices vary. Usually there's one flat rate, but some agencies base the charge on page numbers. Most agencies will deliver the accident report by mail or e-mail (your choice). Some Department of Motor Vehicle (DMV) offices also provide accident reports. In South Carolina, for instance, you can request a copy of the car accident report from the DMV after it has been received from the police. Check with your DMV to see if this service is available. Most states require submitting an accident report to the DMV. Oregon residents, for example, must file these forms (called Oregon Traffic Accident and Insurance Reports) within 72 hours of the accident, provided there's substantial damage and/or serious injury involved. California's DMV requires something similar, but within 10 days for any accident resulting in death, injury (regardless of how minor), and/or property damage of $750 or more. Inquire with your DMV if you're unsure this requirement applies to you. Failing to comply could result in the loss of driving privileges. Or worse. In New Hampshire failing to submit a car accident report involving death or personal injury is considered a felony. Car wrecks are traumatic enough. Don't suffer additional penalties from ignorance of the law. Be certain. Call your DMV for its car accident policies. Have you ever ordered a traffic accident report? Which agency provided it, and how much (if anything) did you have to pay?